The technological advances of the Digital Era can be a success depending on the quality of the data for decision making. There are many opportunities to invest in solutions for quality improvement. Many technologies promise to identify faults and even resolve them automatically. There is a gap in identifying the criteria that support decision making. 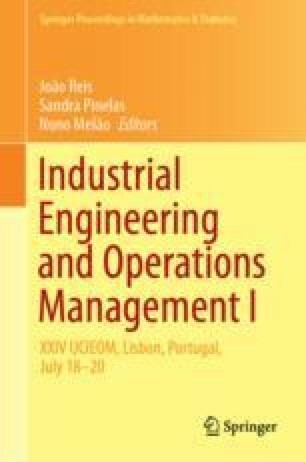 It has been perceived the need to describe how the flow is for decision making of quality improvement projects and innovation within an automotive company. The purpose of this article is to examine and identify how an industry, which invests in high technology, is addressing the advances of these technological transformations. The applied methodological design is the explanatory research carried out in the form of a case study through the combination of document analysis, direct observations and semi-structured interviews. The contribution of this research highlights the importance of using criteria that best demonstrate the benefits, constraints and risks in the decision-making process for solving quality problems with the adoption of new technological resources. The main results indicate a convergence with the already existing data in the literature, considering, for example, the local culture. There is a need to consider other criteria to better inform decision-making in the adoption of technological artifacts.